My Cable Mart can assist you with the design and manufacture of virtually ANY consumer and commercial audio/video or other commercial cable. We will work closely with your sourcing department to provide you with technical engineering drawings and precise specifications to meet your needs. For previous customers, we have custom manufactured many of our existing cables with changes to standard lengths, materials, and ratings - such as RoHS, raw material of cabling, and specific specialized outer cable insulation. We can also source specialized audio/video electronics providing the such quantities meet our manufacturer's MOQ (minimum order quantity). Expedited Manufacturing - which can take from 10 to 15 days to make available. Any special order product that is not part of our regular stock will require a 50% deposit which will be applied to the balance of the invoice when the order is ready to ship from our FOB point in Minneapolis, MN USA. Should the special order project be cancelled AFTER manufacturing has started, this deposit will be non-refundable. If the product is a REGULARLY stocked product, but the quantity you are requesting exceeds our existing on-hand inventory, in general, we will not request a deposit. My Cable Mart is the OEM manufacturer of approximately 95% of all the products that appear on our website. An "OEM manufacturer" means that we create the designs, specifications, and packaging for the specific product, and then work directly with the factory to produce this product to meet these specifications. We work with approximately 8 overseas factories many of which are ISO certified. Every 2 months, one or more shipping containers is sent to us to our distribution warehouse located in Minneapolis, MN USA. As we continually have products being manufactured for us, the lead time to accomodate extra-large orders can vary from 45 to 90 days depending on the cycle of our current manufacturing order and scheduled container departure date. Many times our existing stock order can be appended to accomodate a larger order, and then included in our next scheduled container. Frequently, we get requests from customers that require expedited manufacturing. In fact, in a given month, we work with 3 to 4 such requests. Expedited manfuacturing means that we can move your project to the top of the manufacturing queue (when possible), and upon completion, have this shipment sent to our distribution warehouse in Minneapolis, MN USA by economy air. If you have received a quotation from us, we may include a line-item labeled "SHIP-OCEAN-AIR". Our economy air partner is typically DHL or UPS. Economy air can add anywhere from 10 to 25% additional costs to the net invoice and is based on the weight of the total shipment. Transit times from the date of receipt of an approved customer purchase order to available shipping from our distribution warehouse can vary, but typically is 10 to 15 days. This is a significant time reduction compare to "Standard Manufacturing". 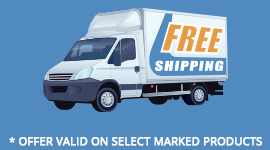 As we are the OEM manufacturer and importer of record responsible for shipping costs, duties and tariffs, we can NOT direct-ship to your end location from manufacturing. Many products - such as Apple(TM) cables - are made under license and as part of such license, we are required to have the product shipped directly to our distribution warehouse. We also can not use your shipping account for such transportation costs as My Cable Mart is registered with USA customs and have provided security bonds to expedite the import process. If you have a project that you would like us to quote for, please send us a request.